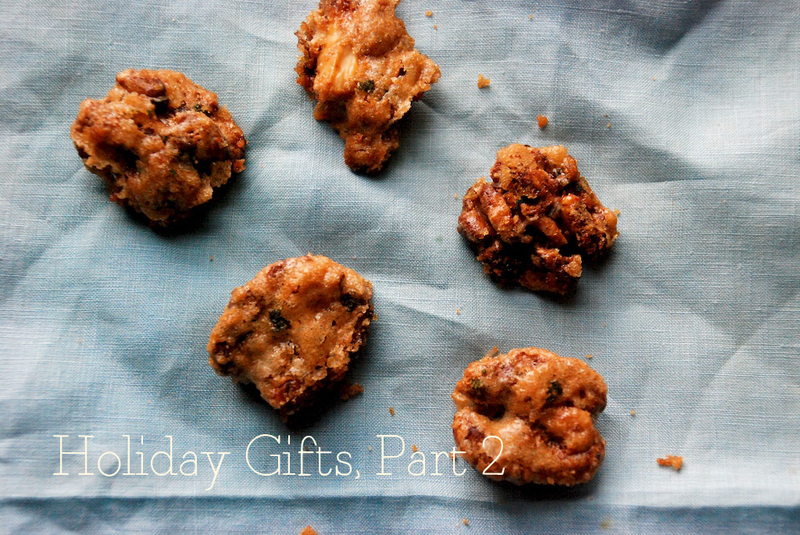 Welcome to Part 2 of The Roaming Kitchen’s Holiday Gifts 2012! My intention was to keep this post short; clearly I have failed miserably. Ah well. I hope you find recipes you want to make, and gift ideas you want to give. Since I have a feeling you didn’t come here for a book report, I will only blather on endlessly about a few of the books pictured. I love them all though, for the recipes, the writing, the pictures, and perhaps most importantly, for the stories. Ripe; Tender; Kitchen Diaries II (Nigel Slater): It’s fair to say that Nigel Slater is my favorite cookbook author. His books balance lovely, lyrical prose with an approachable narrative voice, so that reading feels like an ongoing conversation with an articulate old friend. His recipes are top notch, thoroughly scrumptious, but he leaves the door open to substitutions and derivations, a flexibility I find important for the home cook. (As he writes, “There is a certain comfort in following a recipe, but there is also much fun to be had in working with a few ingredients ourselves, mixing and matching till we find something that suits us.”) Slater cooks to the seasons in a way that makes sense to me: Yes, I would like pork sausage baked with beer and brown sugar in the depths of December. Equally, a peach pie with lemon pastry sounds just the ticket for the middle of August. But more than anything, his books teach: a thousand peculiarly-named variations of apples and their diverse applications in the kitchen, and how food can be so much more than fuel. Jonathan Lovekin’s lush and vivid photographs tie the books together. 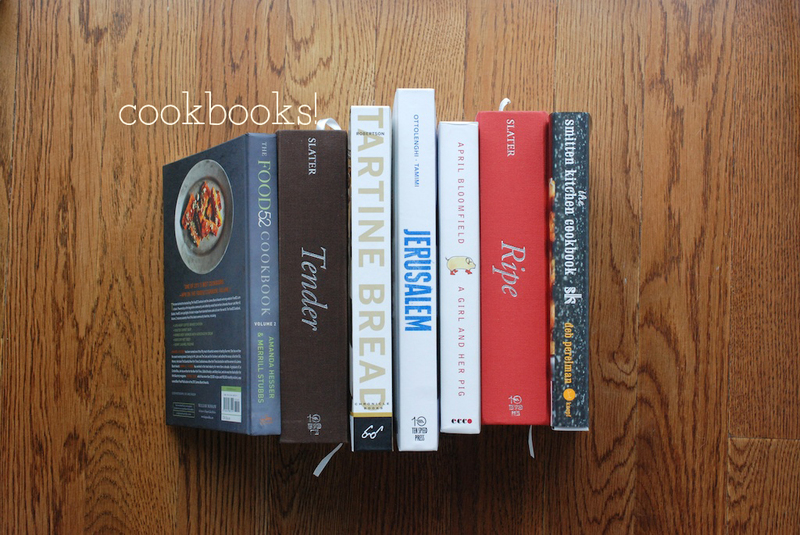 Tartine Bread (Chad Robertson): I like this book for its ambition, its scope. It tackles the (laborious) process of bread baking, breaking it down into excruciating detail for the home cook, both in text and black-and-white process photos. (Words like “starter” and “leaven” are raised and explained.) The book also details (no less complicated) recipes for croissants and brioche, as well as variations on standard loaves. Finally, a chapter titled “Day Old Bread” presents ostensibly less time consuming recipes: Rustic, mouthwatering, pesto-slathered meatball sandwiches, overflowing bowls of kale caesar salad, and skinny bánh mì loud with herbs and pickled vegetables. While the recipes in this book aren’t easy or fast, they are meticulously researched, and reliable. Reading the book is an education. Plus, Eric Wolfinger’s copious, stunning photographs make this a coffee table book, as well a recipe book. Smitten Kitchen (Deb Perelman): I’m a longtime fan of Deb Perelman’s blog by the same name, but her first book is even better. (Seriously, she had me sold by the first recipe: peach and sour cream pancakes, for which she caramelizes a peach slice in the pan before the pancake batter gets poured on. 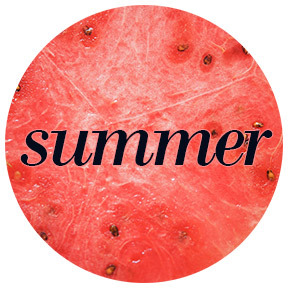 I can’t wait for summer.) The book is full of the kind of smart, unfussy recipes that made her blog so popular in the first place. The pages are also chock full of her signature, color-saturated pictures and process shots. Perelman’s witty headnotes open each recipe as usual, but in book form, they are even more polished than on the website. Her helpful notes and tips remind me that she is a home cook cooking for other home cooks. Trust me: if you show up to your next holiday party with a homemade, edible gift–instead of the usual bottle of wine or pack of beer–you are guaranteed to delight the host or hostess. (Unless you start crying/dancing naked on the coffee table. In that case, I can’t help you.) I hope you’ll find the options below seasonal and tasty. And yes, I might have gotten a bit carried away with the breakfast section. Can you blame me? 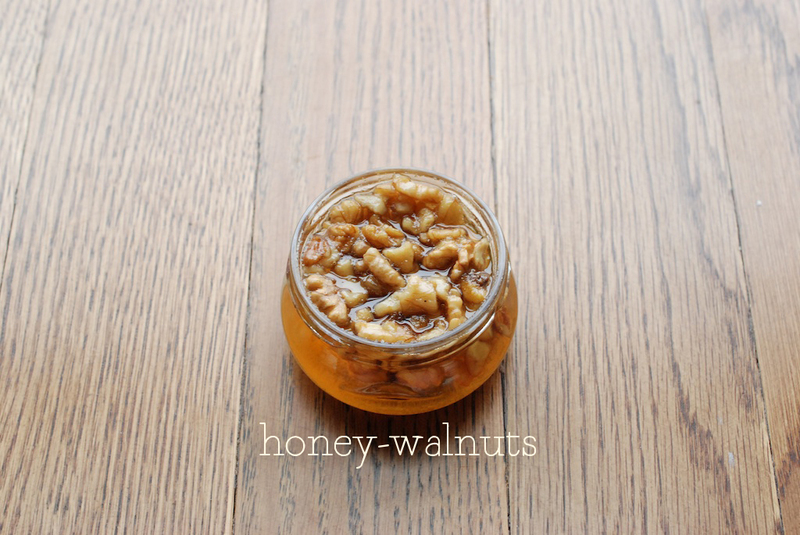 Go Nuts: Make walnut-thyme honey, sage-candied walnuts, sugar-and-spice candied nuts, ginger curried candied almonds, or rosemary cashews for your friends and family, and while you’re at it, for yourself too. They store well, and taste great. 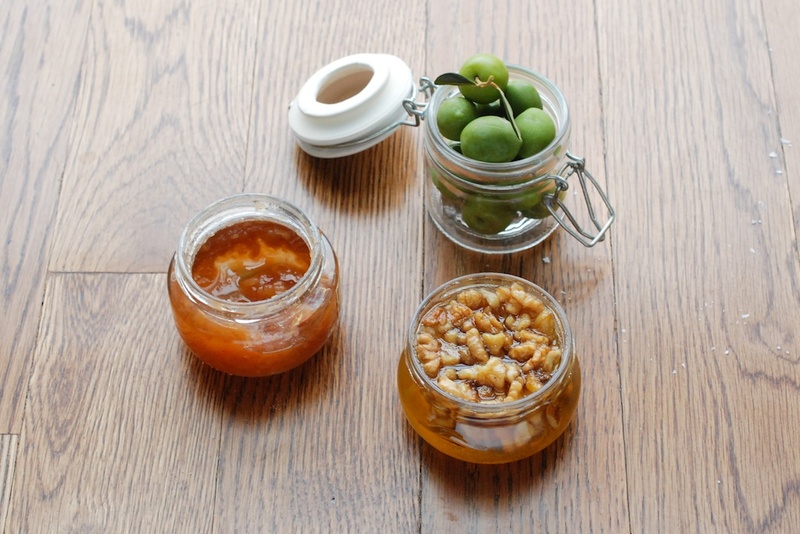 On Toast: You can make: seville orange marmelade, ginger and apple jam, mulled apple cider concentrate, candied clementines, shallot marmalade, bergamot marmalade or whipped brandy butter. If you will be purchasing your jam, I like Anarchy in a Jar. 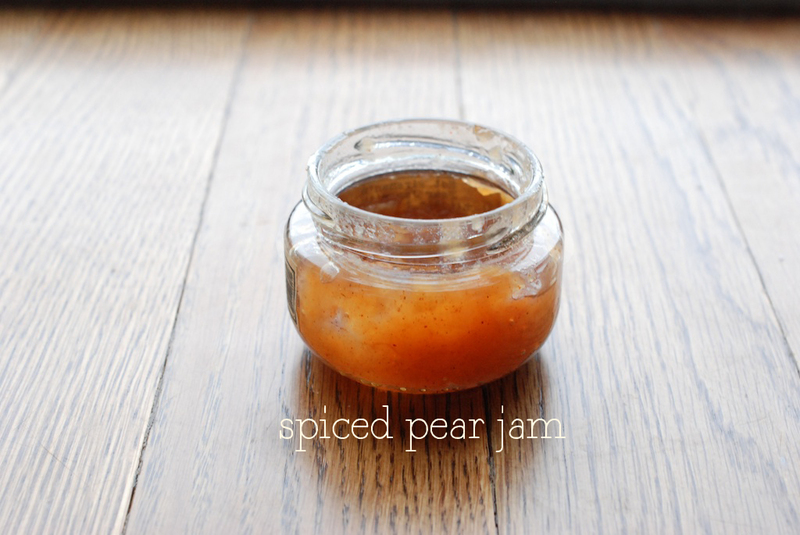 They start with seasonal fruit, and stir up offbeat flavors like Grapefruit & Smoked Salt Marmalade, and Pear Jam with chipotle and cinnamon. If you really want to impress though, the Rolls-Royce of jams is indisputably Christine Ferber. Her jars might be expensive, but boy will you be popular. Imbibe: Blend a batch of: pear-vanilla syrup, fruit syrups, holiday drink mixers, cranberry syrup, or grapefruit, lime, and ginger juice. Or, use seasonal fruit to invent your own: meyer lemon, blood orange, seville orange. If you will be buying, I like Morris Kitchen. I use their spiced apple, rhubarb, preserved lemon, and ginger syrups for everything from cocktails to yogurt. 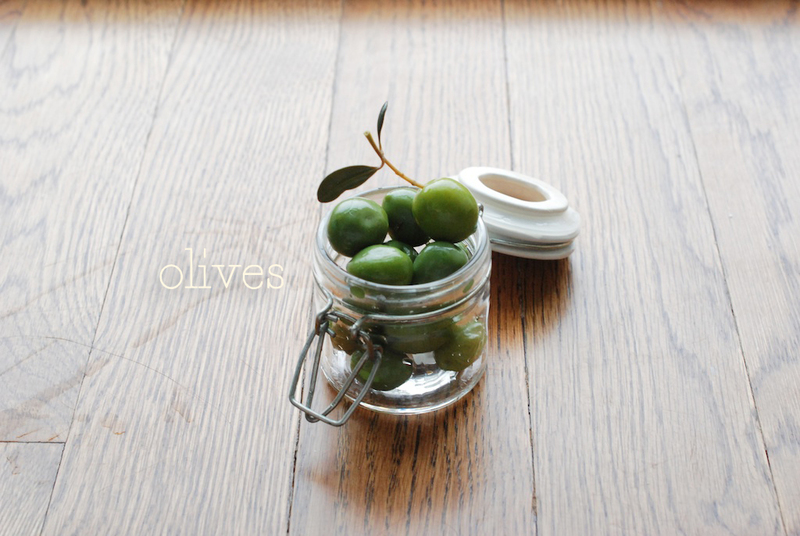 Olives: Jar some: hot pepper and rosemary oil, fennel seeds and orange, boozy, herbs and star anise, or citrus-marinated olives. Breakfast To Go: Ok, I know there are a lot of options here, but bear with me: cranberry vanilla coffee cake, sour cream coffee cake, pear and chocolate loaf, braided lemon bread, super chocolate cinnamon buns, cranberry orange and pecan coffee cake, ginger persimmon bread, double coconut muffins, homemade pop tarts, oat and maple syrup scones, roasted pear and chocolate chunk scones, apple and cheddar scones, cinnamon sugar breakfast puffs. Make a whole tray for a host or hostess, or individually wrap for guests to take home. Snacks With Crunch: Try your hand at: graham crackers, pumpkin butter and pepita granola, cheese straws, whole wheat goldfish crackers, or oat and cheddar crackers. Everyone enjoys receiving mail, especially if that mail happens to be delicious. I was also going to include Florida citrus and California citrus in this post, plus some Washington cherries, but the websites weren’t very pretty, so I decided not to. I could also tell you to send wine, or microbrew or craft beer, but since I haven’t vetted those sources personally, let’s just say it’s an idea. 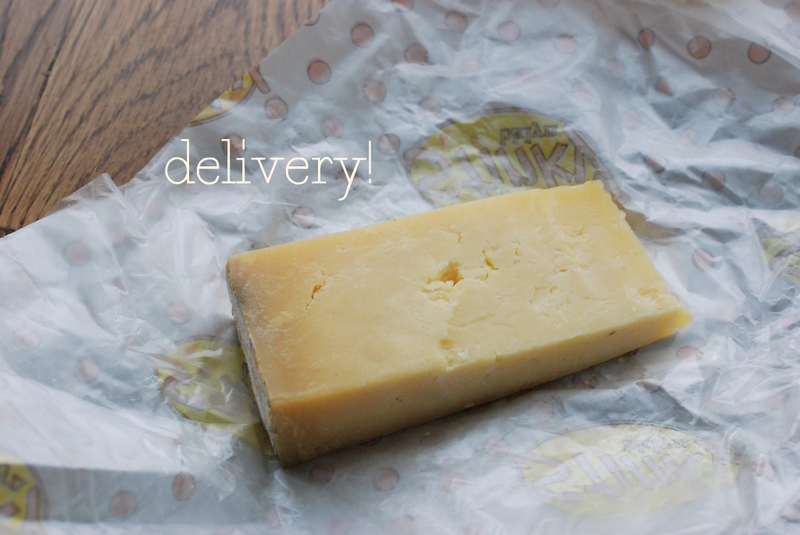 Cheese: Send a cheese a month with Bedford Cheese Shop or Stinky Bklyn. One time deal? Gilt Taste or Artisanal are good bets. Meats: Stinky Bklyn’s meat of the month. Want some upscale options? Gilt Taste and D’Artagnan. Heritage Foods USA is also a winner. 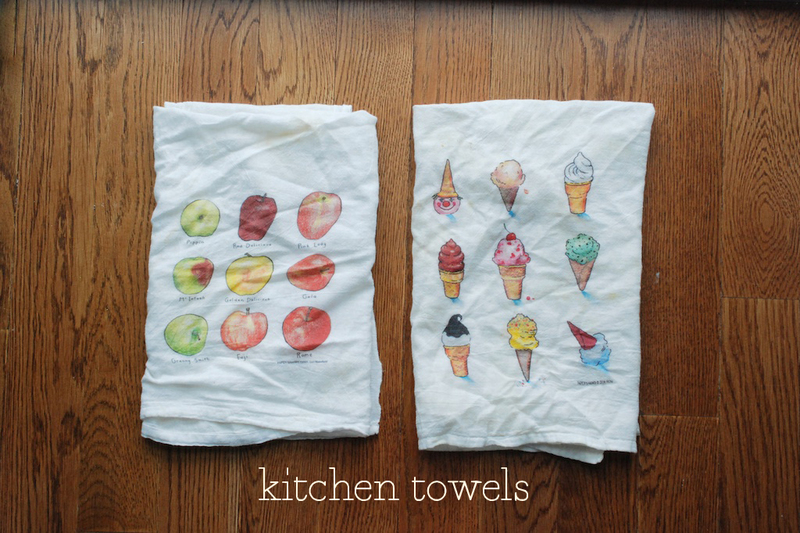 Kitchen Towels: What Paper Sharks lacks in the website design department, they make up for with a quality product. I love the (varied) designs, but more than that, I love how great they are for practical use. How many times have you bought a cute dish towel only to discover that it doesn’t absorb water well? Really, never? Well, I guess it’s just me then. Regardless, these towels are large, 100% cotton, and super-absorbant. Claudia Pearson’s tea towels are also design and functionality winners. Specialty Oils: avocado, walnut, sesame, pumpkin seed, truffle, chestnut, coconut, hazelnut, almond, pistachio. Go crazy! Maldon sea salt: Maldon sea salt (as well as their smoked salt) seems to get mentioned in every food magazine I read these days. Honestly, the brand is less important to me than the notion that flaky, well-made sea salt just makes food taste better. Add as a last minute flourish to savory dishes, or to desserts like key lime pie and chocolate. Golden Bakers Sugar: I use golden bakers sugar far more than white sugar these days, because it has character. It’s very fine, with a slightly molasses-y flavor. Buying in bulk, and then making smaller gift packages, will save on cost. It’s still more expensive than white sugar, but I really think it’s worth it. 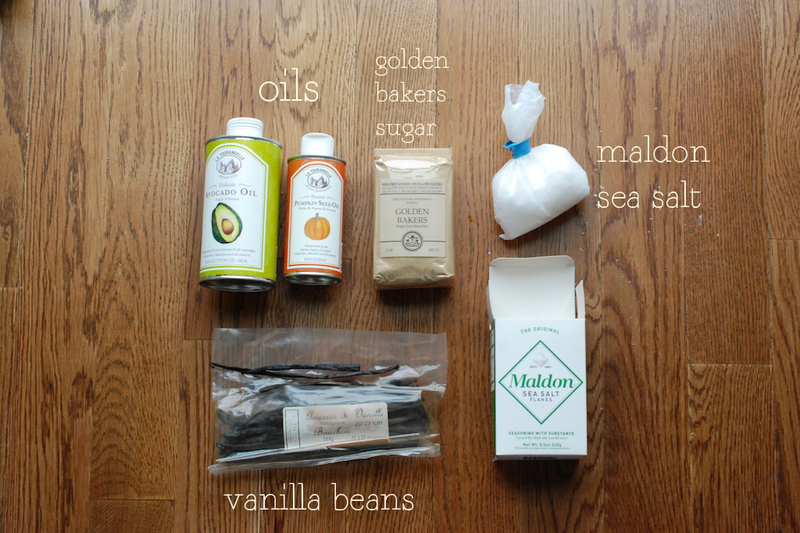 Vanilla beans: Buying vanilla beans in bulk from a baking source is the best way to go. (In the supermarket, sold in tiny tubes or envelopes, it’s astronomically expensive.) Once you have them in the cupboard, use them for: ice cream, custard, oatmeal, to flavor sugar. Vanilla beans make every breakfast, dessert, and drink tastier and prettier.